On Feb. 21, the President’s Office hosted a dialogue with with Mr. Han Fook Kwang, the current Editor At Large of the The Straits Times. 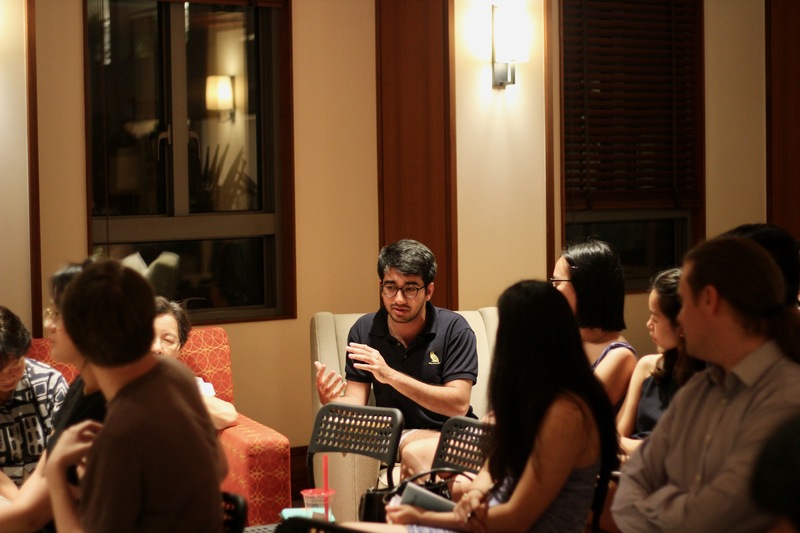 The event was held at the Saga Common Lounge, where he answered questions and gave his views on the future of journalism in Singapore. The dialogue was moderated by Tee Zhuo ’18, recipient of a scholarship given by Singapore Press Holdings which publishes The Straits Times. Mr. Han began by giving a historical overview of Singaporean media’s relationship with the government. 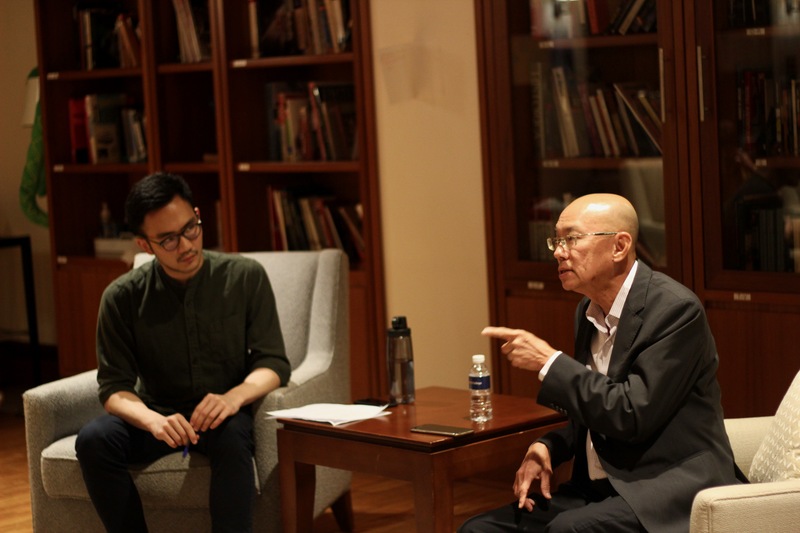 He said that the Singaporean press is not a mouthpiece of the government, but there are three main distinctions between Singaporean newspapers and those published overseas. Firstly, the Singaporean press is more cognizant of the government’s views. For example, they strictly hold off on publishing information the government has not publicly announced until they have checked with the relevant authorities. However, The Straits Times never sends pieces to the government for vetting and ‘Out-of-Bounds markers’ or ‘OB markers’ are not clearly delineated. Additionally, newspapers in Singapore are not allowed to campaign over political issues. Mr. Han said that columnists could write about certain issues but eyebrows would be raised if they wrote multiple similar pieces on the same issue, as it would seem like they were campaigning by pushing a particular line. Furthermore, he said that while the Singaporean press is free to write critical pieces about public policies, they have to be careful to refrain from giving personal criticism, as that there must be a ‘respect for authority’ in Singapore. For example, newspapers in Singapore do not publish political cartoons that make fun of politicians. As the discussion progressed, Tee brought up the topic of the perceived ‘revolving door’ between the government and the media in terms of personnel. A recent example of this is how the new CEO of SPH, Mr. Ng Yat Chung, is the former Chief of Defence Force of the Singapore Armed Forces (SAF) who oversaw the downfall of the previously state-owned Neptune Orient Lines (NOL). Mr. Han said that there was no formal process, but whoever is appointed the Chief Executive Officer (CEO) of Singapore Press Holdings (SPH) is informally approved of by the government. Mr. Han, who also made a mid-career transition from public service to the media himself, said that this informal process is a “powerful medium of control” by the government and is not unique to the media industry. However, he stressed that ultimately, the appointed individual has to be competent to succeed. Mr. Han said, “If The Straits Times is not objective or credible it deserves to die” and that the readers could form their own conclusions as to how the paper has navigated these complex forces. Mr. Han then went on to talk about the present state of journalism in Singapore and how The Straits Times has fared with the growing influence of new forms of media. He felt that while the media landscape has changed, the government’s fundamental view on the media has not.This explains the government’s approach to overseeing online media, which require certain online media websites to comply with regulations and to state their sources of funding. Responding to the question of whether government control of state media was justified now that Singapore has grown into a more developed country, Mr. Han first joked that the reason for the ongoing control of state media might lie in the fact that “that the government probably thinks that [Singapore] is still [in its] nation building [stage].” However, he went on to admit that he was oversimplifying and clarified that the government has been more relaxed with critical views than they were in the past, citing how his predecessors at The Straits Times have said that they had a much tougher time dealing with governmental restrictions in the past. On the topic of fake news legislation, a topic that Mr. Han has written about for The Straits Times, Mr. Han said that the business of fake news in Singapore is a small issue and that issues caused by the digital revolution, like the disruption of the business model for newspapers, should be considered more significant.